Dairy farming is much more than a job—it’s a way of life. Each and every day, farmers wake to care for their cows, look after our natural resources and contribute to their communities. They take great pride in providing a wholesome, high quality and safe product for their families and yours. In Oregon, 228 dairy farm families across 21 counties care for 126,000 cows that produce the goodness of milk for you locally. 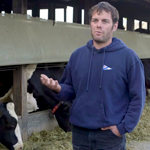 Ninety-seven percent of U.S. dairy farms are family owned and operated. Most farms in Oregon have been handed down multiple generations. This means that for 75, 100 or even 150 years, the experience, expertise and passion for the animals, the land, and the lifestyle have passed from parents to children. Dairy farmers are continually researching, taking initiative and adopting new practices and technologies to increase efficiency, conserve natural resources and contribute to the economy. This continual effort creates a sustainable future for their families and the industry while providing Oregonians with a steady supply of nature’s most perfect food—milk. Our farmers’ commitment to providing high-quality, wholesome milk begins with taking good care of their cows. On farms of all sizes, dairy cows are cared for around the clock. They are provided clean, dry bedding, protection from the weather and access to food and water 24 hours a day. Dairy farmers work with nutritionists and veterinarians to ensure their cows are healthy and fed well-balanced rations. 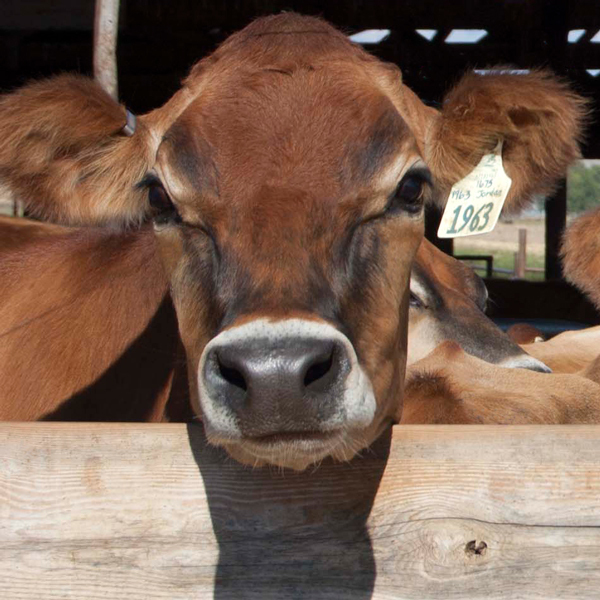 Many farms participate in regular third party animal well-being evaluations, such as the National Dairy FARM Program, so you can feel confident in Oregon’s high-quality farm management practices. DYK? 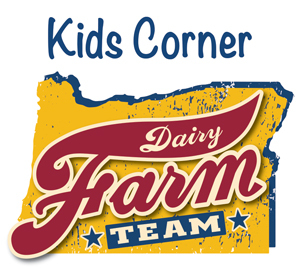 Nearly all dairy farms in Oregon participate in the National Dairy FARM (Farmers Assuring Responsible Management) Program. Dairy farmers live on or near the land that they farm. No matter how many cows they milk, they understand the importance of protecting natural resources – it’s a responsibility they share with the local community. Farmers take initiative and work with experts to find and implement new ways to reduce energy, protect and conserve water and install renewable energy sources. Dairy farms produce a gallon of milk using 95 percent less land, 65 percent less water and while producing 76 percent less manure compared to 1944. The latest research shows that the U.S. dairy industry accounts for less than two percent of U.S. greenhouse gas emissions. DYK? 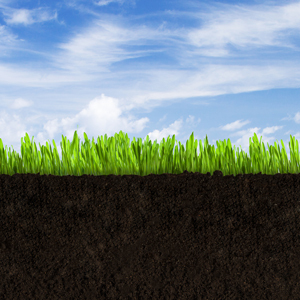 There are seven anaerobic digesters in Oregon working to convert cow manure to power.